Citizens’ Alliance for Property Rights (CAPR) has rated Lynda Wilson as “Outstanding”. 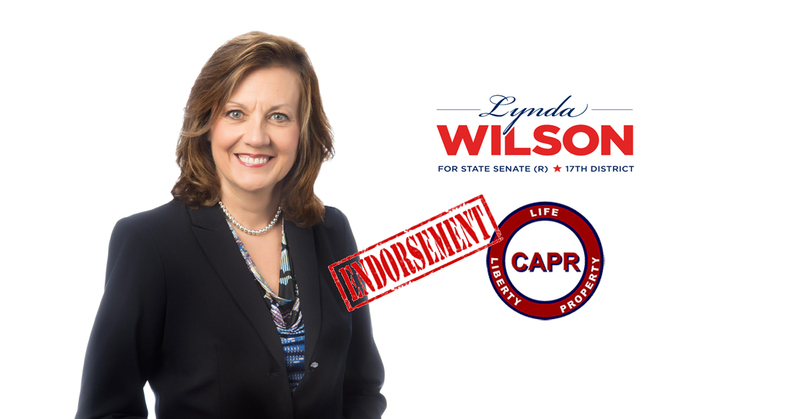 In an email to Wilson, Chuck Wennerlind, the Director of CAPR’s Political Action Committee informed Lynda that they had rated her outstanding and their website encourages voters to Vote for LYNDA in November. “Property rights are one of the fundamental rights of a free people and essential to our liberty. I’m thrilled to be rated “outstanding” by CAPR!” Wilson said in reaction to CAPR’s endorsement. Public Education Advocacy Group Endorses Wilson!National Attention for Our Campaign!